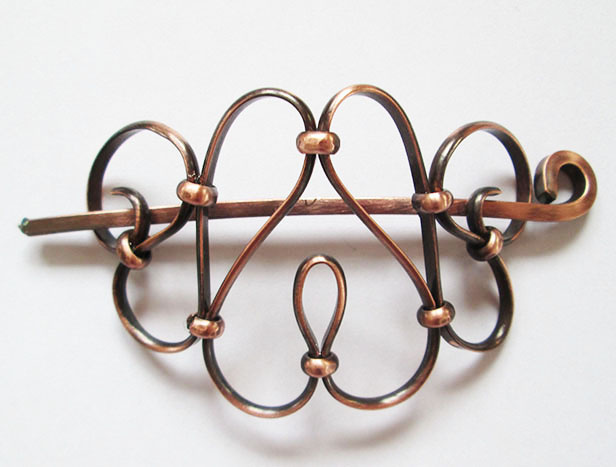 These pieces are all hand crafted with raw copper, with a heavy gauge copper stick to hold the hair piece in place. There are a variety of sizes to choose from, but if you have any questions feel free to contact us for more details. Everything is made to order, and we can accomodate custom stones and adjust the size of the piece as required. Above: Sold! A one-of-a-kind, red resin rose copper hairpiece. Please contact us for a similar design.